According to recent research from Kaspersky Lab, 27% of businesses faced with this type of attack are under the impression that they are collateral damage as opposed to being the intended mark. With many companies connected to digital supply-chains, this highlights just how essential it is for proactivity. Having a concrete understanding of the potential dangers and how they can be prevented is a great first step. Include all of your employees in the learning process. Encourage staff to familiarize themselves with basic terminology and outline the dos and don’ts of maintaining cyber security. An effective way to learn is by teaching others, so have employees reiterate the information they are studying with one another or to you. Ensure that the entire team is working toward the common goal of safeguarding your business by checking in with them and keep training on going. Start by identifying the departments in your organization who will be responsible for preparation and execution of this plan (your incident response team). This includes leads from applications and operations teams who may be affected. Devise or update your disaster recovery plan if necessary. It is important to have this kind of plan in place for cyber attacks, natural disasters, break-ins and all other infractions. Next, contact your Internet Service Provider. Large attacks that throttle your bandwidth cost your ISP money. In severe incidents, your ISP can disconnect you completely. As part of your plan development, make sure you have network level protection with multiple WAN entry points and arrangements with the large traffic-scrubbing providers. Cloud mitigation services can help “clean” your traffic for you. Entrusting a service provider who has built out multiple sites around the Internet that can take in any type of network traffic is a significant leap to fortification. 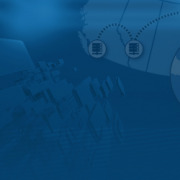 Experts can navigate complex attacks for you. They can deploy multiple layers of filtering that can weed out the latest risks and only send scrubbed, safe traffic your way. The scalability and affordability of these services make them a sensible choice for businesses large and small. Certain providers also offer the option of implementing emergency coverage in the case of an attack. This can be helpful if an attack is already underway, but our recommendation to maintain preventative procedures. 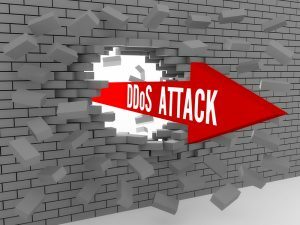 The public generally assumes that the obvious targets of DDoS attacks are large-scale enterprises. We envision giants of infrastructure being besieged. We hear about railway systems struck down causing bedlam on the tracks or government organizations being digitally commandeered. However, all businesses are at risk whether they have five employees or five hundred. And unlike high-profile industries, the cost of a DDoS attack can be detrimental to smaller victims. Strategic action needs to be taken by all companies to prevent a catastrophe. Haven’t established your DDos Response Plan? Don’t delay! If you have questions about developing and deploying your plan, our experts would be happy to help. Prepare yourself with a network protected from DDOS attacks?